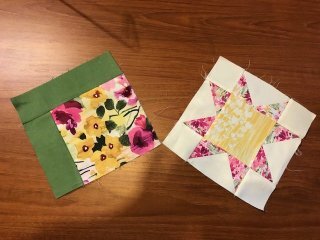 AccuQuilt Mystery Block of the month Saturday, August 25th at 10:30 AM. Cost is only $5 and you can sew all day. Please register for classes at least 2 weeks in advance. Classes with no attendees within this two week time frame are subject to cancellation. Purchasing supplies for classes and clubs from Stitch is deeply appreciated! Use your AccuQuilt Fabric Cutting System to create this stunning quilt that was recreated from a quilt inspired by one we long armed for a customer. All new BERNINA or Baby Lock machine purchasers from Stitch receive 4 FREE classes to learn their machine. These classes may be repeated for an unlimited number of times. Should you have purchased your machine elsewhere, you may take these classes for $400.